Learn about Japanese food culture, then try cooking for yourself! 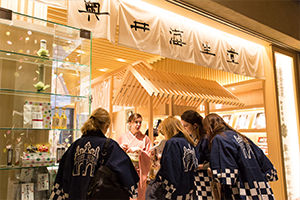 Take part in a gourmet tour, with samples from all across the country, and also a Japanese COOKING LESSON. 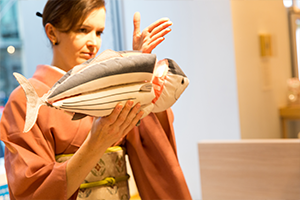 Allow the international concierge to guide you around, explaining the history and samples at each store you visit, before heading to a cooking class to make your own sushi. *Includes small gift, samples, and food from cooking lesson. RESERVATIONS: Required by 5:00pm, 3 days before the event. To make your reservation, please proceed to the following website. *This activity is also available for private groups. Please contact the Nihonbashi Information Center for details.